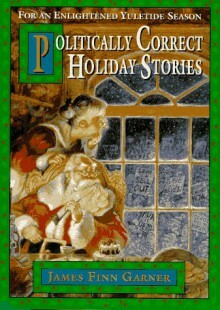 Whether your favorite holiday story is "A Christmas Carol", "The Story of Hanukkah", or "'Twas the Night Before Christmas", you'll find it transformed to reflect current sensibilities in Politically Correct Holiday Stories. Injecting our popular holiday fables with a modern perspective is no easy task, but someone had to do it -- and who better than the proven master of cultural sensitivity? James Finn Garner joyfully frees these holiday tales from sexism, ageism, religious imperialism, and every other sorry vestige of our flawed, low-consciousness past.So gather the family (whether traditional, dysfunctional, co-dependent, or otherwise) around the hearth, and read aloud these tales as they should have been told the first time. I love christmas stories, so of course I love people riffing on christmas stories.